The gaming world has gone through a lot of transformations thanks to the advent of the internet. Today, the number of online games has also surged with the proliferation of game developers in the market. It is easy these days to play a game of choice from the comfort of your home. All you need is a reliable device and you are in for immense fun and game time. Unfortunately, you may have all the gaming devices and still fail to succeed in your endeavours. You thus need to understand what online gaming is all about, key steps to undertake and become a great gamer. Don’t forget to conduct meticulous research on the available games. You might know how to play a few games but fail to master the art of gaming. This is simply because you don’t practice extensively and grasp every detail about the game of choice. There is a lot of information about gaming online that you need to access and amass enough details about the available games and how to play them. Blogging is one of the amazing strategies that online game developers and gamers have utilized to enlighten those interested in joining and succeeding in the gaming world. From these gaming blogs, you will even learn about the latest incredible arozzi gaming chair designs and where you can get the best. Gaming blogs provide gamers and interested readers with a platform to read exclusive editorial articles on varied gaming niches. From these articles, you can learn more about the top game in the market and even learn from experienced gamers. From these gaming blogs, you will also get regular updates on the latest games in the market, best gaming offers and discounts. Those who love reading gaming blogs can also get enlightened upon going through unbiased reviews, feedback and comments from other gamers. Many gaming blogs have sections for live streaming channels where you can watch gamers compete or go through gaming tutorials. If you want sheer gaming experience GoNintendo is the best place to be. It is a reputed gaming blog that has been offering impeccable reviews on existing and latest Nintendo games. All you need to do is visit their game store at www.gonintendo.com and have a look at the available games. You can also check out the newest games compatible with any smart device and try them out. It is a great game blog for iPhone and iPad gaming enthusiasts. The blog has over the years dominated the gaming industry providing its followers with one-of-a-kind games. It is also the home of not only hot games but also the best space for news and gamers forums. You just need to join the Touch Arcade Community and use the best gaming apps as well as discuss your favourite games. Just click at www.toucharchade.com and learn more. 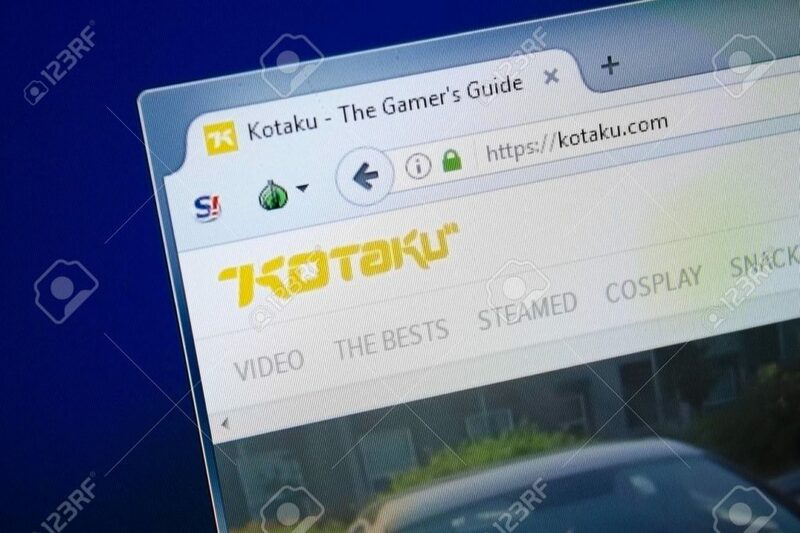 At www.kotaku.com you will meet a unique and well-designed gaming blog that you will undoubtedly trust. Kotaku provides gamers with a reliable gaming platform where they can also get the best game reviews. Readers also get a chance to share their feelings and opinions about the best games. It is also the best blog where you can find gamers competing with each other. If you are into gaming podcast, make Kotaku your official gaming blog and website. It is a unique blog that promises what other bloggers in the gaming world cannot offer. GameZebo is the home for latest game reviews, gaming guides and tips. This blog is also widely followed because of its exclusive interviews and news that enlighten gamers from all walks of life. You just need to visit GameZebo today and find the most exclusive games in store for you. Are you are an Xbox, Play Station and PC enthusiast? Probably your best answer is yes. GameZinger is one of the amazing and distinctive gaming blogs that you cannot go a day without visiting. Its readership is incomparable as it is the home of best game news, trailers, gameplays as well as reviews of upcoming games. Its games are always trending amongst online gamers and you should become a member if you are not registered today. You should not restrict your search for top gaming blogs to these five mentioned blogs. You can also visit Guardian Games Blog, VG247, IGN, Droid Gamers and GizCentral among many other gaming blogs. Go for a gaming blog or website that will meet your gaming preferences, entertain you, leave you enlightened and eager to learn more.